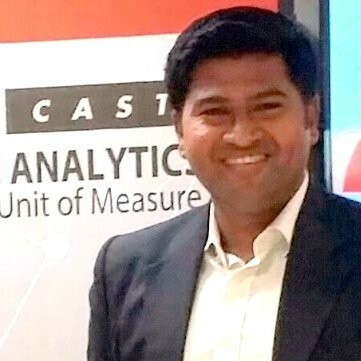 As I step in to my fifth year at CAST, I have had the privilege of interacting with a diverse set of CXOs and IT leaders at various levels from different industry verticals and geographies in creatively positioning CAST’s value proposition for Software Intelligence to help enterprise organizations build, buy and deliver better software. The acknowledged value from our customers and partners where we have delivered powerful results in terms of cost savings and automation is a testimony to CAST as the leader in the category of Software Intelligence. In the constantly changing world of IT transformation at a rapid pace, there is no one-size-fits-all solution to any given problem related to software development and maintenance. However, there are a few patterns that I have encountered. What follows are the 19 primary ways I have seen CAST help customers, and they are worth heavy consideration as we step into 2019. Peter Drucker’s quote that “You can’t improve what you don’t measure” remains incredibly relevant in today’s current IT climate, as many CIOs strive to gain visibility into their application development and maintenance initiatives. CAST’s Application Intelligence Platform coupled with CAST Highlight provides the right measurement principles that usually sits on a CIO’s desktop as a de-facto visibility dashboard that helps them manage a breadth of development activities across the enterprise. Change is the only constant in today’s world. With growing demand from business executives to provide better customer experiences, IT modernization remains a core focus of investment. Be it an infrastructure refresh, Gartner’s 5R cloud migration strategy, legacy modernization or cloud-native approach, application architects often rely on efficient yet proven practices. Tune into CAST’s practical perspective on monolith-to-microservices modernization that is time tested. This topic needs no introduction! Leading CIOs are leveraging CAST Highlight in their application and IT rationalization initiatives to gain visibility into complex interdependencies and cut down on this laborious manual process. Cloud migration has been a top CIO priority for years. From determining management objectives to ensuring a stable infrastructure, Forbes recently published a list of the 13 biggest challenges when taking on a cloud migration. Where a Cloud expert could spend weeks to measure the capability for a single application to move to PaaS, Highlight Cloud Readiness makes it possible on the entire portfolio – in only days. Enterprise application development, maintenance and enhancements are often undertaken with teams operating in a global network – with resources that are both in-house and provided via outsourced models. At scale, maintaining a balanced architecture governance practice is key for optimizing operations and cost control. For this purpose, Software Intelligence specific to architecture best practices from CAST’s Application Intelligence Platform are usually fed into widely used EA tools. What if you had a unified view of the system-level risks associated in your software application focusing on critical factors such as resiliency, robustness and efficiency? Going one step further to gain a common cross-platform, cross-technology score that becomes a default gating mechanism for production promotion manifests into a robust software risk management practice. CAST’s Health Dashboard provides digital leaders insights to protect their business and making smarter IT decisions. According to Gartner there are over $96 Billion in planned cybersecurity budgets this year. Cybersecurity features right on top of the CIO’s priority which requires a proactive and intelligence-driven approach. Application Security solutions from CAST inject insight into risky blind spots before development starts. CAST was also named a “Strong Performer” in the Forrester Wave™, scoring highest on accuracy of findings. I recently had a conversation with an infrastructure lead at a top U.S. financial institution, who was switching vendors via an RFP evaluation process to reduce his MIPS overload and boost ROI by lessening his infrastructure cost. CAST’s unique transaction optimization engine, particularly for mainframes and SQL databases, follows best practices in memory and resource management for optimal software risk mitigation and MIPS reduction in short timeframes. Three buzzwords remain on repeat – Agile, DevOps and Automation! All three remain an integral part of digital transformation strategies. CAST’s automation capabilities have helped customers gain agility in software delivery without compromising on overall quality or risk indicators. For single-purpose IT applications, a survey-based audit with business and IT stakeholders for GDPR compliance will get you a reliable GDPR register. For complex IT applications serving customers and internal users, a manual approach will be too slow, expensive and dangerously incomprehensive. CAST’s automated data processing register is a great solution here. Everyone wants to operate better, faster and cheaper. If even one of these elements gets compromised, productivity often goes sideways. ADM spend is the longest pole in the tent of any IT organization’s yearly budget, and even a 1% reduction in cost can make a huge difference to the overall team and business outcomes. CAST customers have realized up to 25% in cost savings leveraging CAST as a key ingredient in their ADM practices. Click here. Identifying more software defects before applications go into production is good, but this can cause mounds of re-work that drives maintenance costs sky-high. Complicating the matter, most ADM operations are outsourced, making these apps even more expensive to change. CAST works with nine out of the 10 top systems integrators across the globe including IBM, Accenture, Cognizant, Infosys, CGI and many more to help keep costs of re-work as low as possible. At Cognizant, CAST has generated productivity gains of up to 20% on behalf of clients. You can read more here. Transitions between teams and vendors are inevitable mainly as the skillset requirements to drive IT transformations are diverse while on the other end the cost of operations should be kept under control. With application SME time being limited and hostile behavior of outgoing vendors during transition (in an outsourced scenario), organizations need an easier way to accelerate transitions. CAST’s application discovery and blueprinting capabilities provide an MRI-like view of the entire application through intuitive and interactive call-graphs that reverse engineer source code for comprehensive documentation 24/7. In my previous years of being an ADM team manager, the constant complaint I heard from my team members was “I need more time to understand the application source code.” Using Enlighten or Imaging at that time would have enabled everyone to work from a centralized, visual representation of the entire application which is self-explanatory. This also helps speed root cause analysis. In a typical multi-vendor, multi-geo complex outsourced IT agreement, full transparency is seldom present. Customers constantly struggle to gain visibility into what their vendors are delivering, both in terms of quality and quantity. CAST’s Software Intelligence provides more objectivity via automated function points and other measures. FedEx, Fannie Mae and ING have all shared their experiences. Requests are pouring in from systems integrators to support their due-diligence and baselining initiatives to establish true software health measures. Most of these are at a stage when the SI is responding to an RFP, or right after they have won an engagement. Many customers have also leveraged CAST in M&A due diligence scenarios. You can see one such story here. In many of my pre-sales discussions, a common question I get is, what are others (particularly their peers) doing differently? And I answer there’s no way to know for sure without a solid benchmark that compares apples-to-apples when it comes to software. CAST Appmarq is unique and the only rich database that provides a neutral benchmarking view on software health. See what Broadridge has to say on why and how they benchmark their IT portfolio against the competition. The Consortium of IT Software Quality (CISQ) is the renowned governing body of international standards for automating the measurement of software size and structural quality. If you are challenged to prove that you’re driving improvements in software delivery, CISQ audits are a great way to make those discussions with your customers and sponsors more objective. Contractual arrangements have transformed over the years from traditional time and material contracts to fixed bids to managed services and now to outcome-based contract structures. A key goal in ADM contracts is to improve on the margins, be it for profitability or for value delivered back to the customer. If even 30 mins of an eight-hour work day can be saved and re-purposed of future innovation, this would be a worthwhile improvement. By replacing manual activities with CAST’s automated discovery engine, productivity margins improve multi-fold. Check out this whitepaper to learn more. Wait, did I say 19 use cases? Last year, CAST added Software Composition Analysis to help customers take control over third-party and open source components to mitigate license and security risks – i.e. checking third-party vulnerabilities, staying on top of open source license compliance and reducing technology obsolescence. So, what do you have to measure? If you’re interested on any of the above topics send me a PM or drop me a note at g.venkatachalam@castsoftware.com. Guru is an expert in bringing Software Intelligence-based solutions to market, specializing in key partnerships for CAST.